South Africa’s stock market’s up one day, and down the next. The rand continues to weaken, while global markets are heading into recession. Like most other investors, you may be totally confused. Is the market going up again? Is another bull market around the corner or are we going to continue facing massive risks and downturns? There are ways to protect yourself and profit when times are tough, and it’s about time you learnt the easiest and safest among them… Discover how to take advantage of volatility using financial spread trading. 2014 could be the most exciting year for your finances! to 'living the life!' in as little as 7 days!! 2014 could be the best financial year of your life. Because today I’m going to tell you how to use a mere R350 to transform your finances. Now you can get your hands on R14,500 worth of gold for just R350. Then how would you like to ‘buy’ Wall Street for as little as R45? And, on top of all this, your earnings could be magnified up to ten times or more… In just a few days! I honestly think this could be the most exciting opportunity to ever land in your inbox. My name is Warren Jeffery and I’m the Head of Trading and Research here at FSP Invest. I’ve spent years mastering the art of short-term trading at one of the leading trading firms in the country, Golding, Torr and De Decker. And now I want to share my knowledge with you! No huge withdrawals from your account. And no expensive maintenance costs. This is the easy, stress-free way to consistent and repeatable profits! I’m talking about spread trading. The easiest and most accessible way for a novice to make money in the exciting and profitable world of trading. As well as the cheapest! The potential of this opportunity is huge! As is the amount of money you could make in a matter of days! ·In a single day you could’ve made a gain of 32.5% from a 65 cent rise in Old Mutual’s share price. ·In just 14 days, you could’ve made an 18.75% gain from a 15 cent move in the platinum price. This is the boundless potential of spread-trading. It’s simply one of the best ways to make money fast – and it’s completely within your budget! With spread trading you can start out with really small trades. This means you don’t have to risk huge amounts of money while you’re still learning. 2.Make money even when the markets go down! Imagine actually making money from the huge dips you hear about in the news. While everyone else is panicking, you’ll be watching your bank balance grow exponentially! Whether the markets go up, down or sideways, there’s a way to make money – spread trading. You can set guaranteed stop losses to minimise the amount you lose. One of the great benefits of spread trading is the ability it gives you to protect yourself against shares that you already own dropping in value. Which can save you a FORTUNE! Even if this was the only benefit of spread trading, it would be worth learning more about it. But it isn’t! And that’s why I’m so excited to introduce you to a guide that’ll help you get started in less than a week! My team and I have compiled a comprehensive beginner’s guide to making big money spread trading. It contains everything you need to make your first trade in seven days or less! Use the power of spread trading to cheaply multiply your wealth, and with this new guide, it’s never been easier! It’s the world’s most accessible trading instrument with the lowest funding requirements. 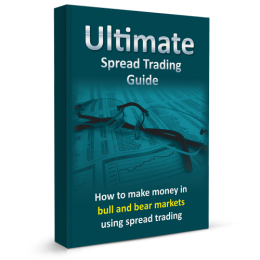 The Ultimate Spread Trading Guide: How to make money in bull and bear markets using spread trading will take you by the hand and walk you step-by-step to financial success. I assume you have no prior knowledge so I take you through the whole process, step by step. I cover everything, from how to open a spread trading account to how to use the strategies of professional traders to make huge profits… But with none of the high costs! The Ultimate Spread Trading Guide comes with FSP Invest’s 30-day-money-back guarantee. 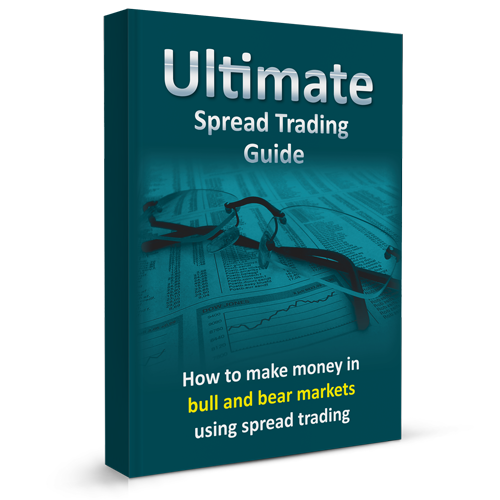 The Ultimate Spread Trading Guide retails for R599. But for this special introductory offer you’ll get this amazing introduction into the world exciting world of spread trading for just R399.